Spin Off is a battle for gravity in this 2-player game. 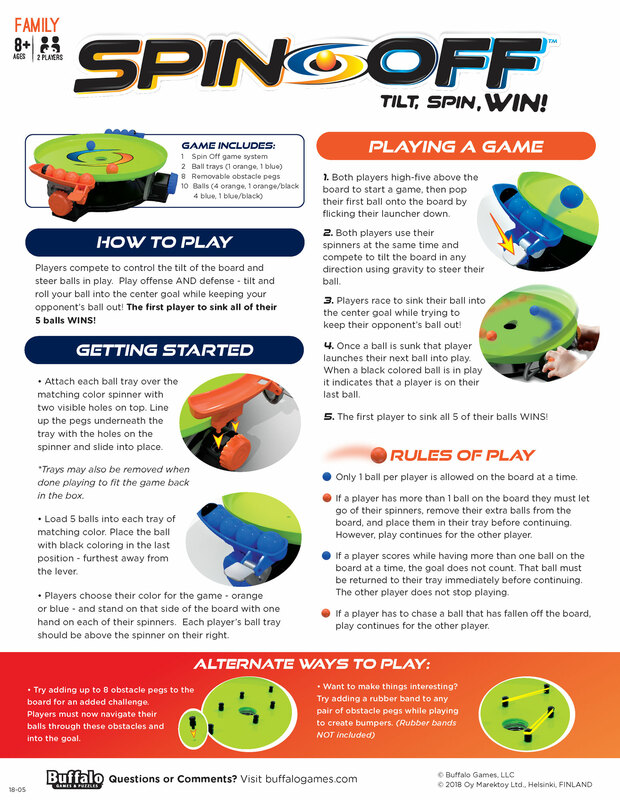 Players battle to tilt the board at the same time and steer their balls in play. Play offense and defense- tilt and roll your balls into the center goal while keeping your opponent's balls out! The first player to sink all 5 of their balls wins. Try adding up to 8 obstacle pegs to the board for an added challenge. Players must now navigate their balls through these obstacles and into the goal. Want to makes things even more interesting? Try adding a rubber band to any pair of obstacle pegs while playing to create bumpers.